Muslims complain about systemic persecution. The Security Service of Ukraine (SBU) and the prosecutor's office searched the Islamic Culture Centre in Kyiv (25, Dehtyarivska Street). According to the Kyiv's prosecutor's office, the search was conducted on a court warrant issued in a criminal case on a possible distribution of violence promoting materials (Article 300 Part 1 of the Criminal Code of Ukraine). More searches were held in the suspects' houses in Kyiv and Poltava. "Following the searches, [we have] confiscated publications promoting the cult of violence, cruelty, racial, ethnic and religious intolerance and discrimination, as confirmed by expert conclusions, and other kinds of literature which are yet to be tested. A total of around 100 copies have been confiscated," the prosecutor's office said. 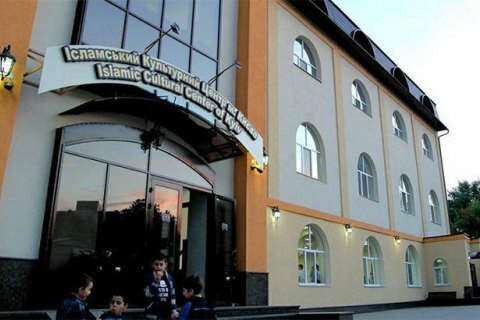 Said Ismagilov, the mufti of the Spiritual Directorate of Ukraine's Muslims, Umma, also wrote about the search of the Islamic Culture Centre. In his words, around 20 law enforcers conducted it in the early hours of 6 March. "A total of eight books, which were later shown to a guard as confiscated evidence, were planted into a bookstore and the teachers' room in the gymnasium. The flat of library keeper, sheikh Tarik Sarkhan, was being searched at the same time. There two books were planted a freezer. They were later confiscated and presented as evidence," Ismagilov said. "I saw such things in occupied Crimea only, when books were planted in a mosque, even in the backyard near an outhouse, and then shown as the evidence of a crime. However, Russia has the list of banned literature whereas Ukraine no such list. The worst and most disgusting measures using the Russian FSB methods are currently practiced on a permanent basis in Ukraine! I'm talking about the systemic persecution of Ukrainian Muslims. After all, the searches have been held for the third time in less than a year. And they keep planting the same books," he said.